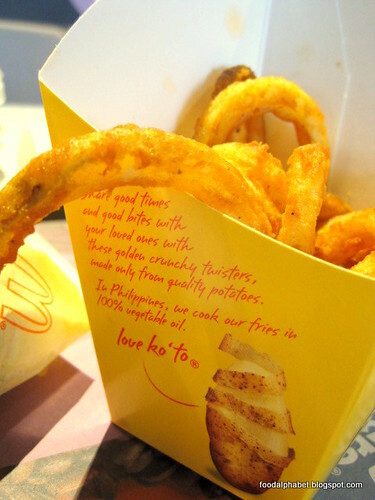 The Food Alphabet and More: Twister fries is back at Mc Donald's! Missed these potato treats? Of course, and just about time. Mc Donald's brings to us our favorite potato treat other than their much-loved french fries. I guess this will be the nth time I have been welcoming the comeback of a regular favorite. See them now in a new packaging, with potatoes all over. Nice touch right? But as much as my devotion to Mc Donald's Twister Fries, I do feel a little lonely, why? well these babies are now weighed before served, so with the bigger packaging, you may feel a little short changed, but I guess weighing them to equals should be better for us. Take a big bite! Get it for P59.00 ala carte. 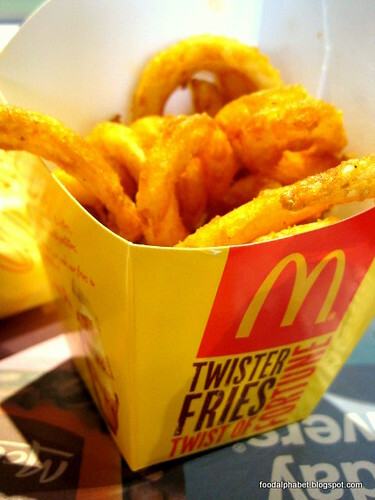 Add P35 to upsize to Twister fries from a regular meal, or add P15 to upsize to Twister fries from a medium meal. Or pair it with your favorite Mc Float. 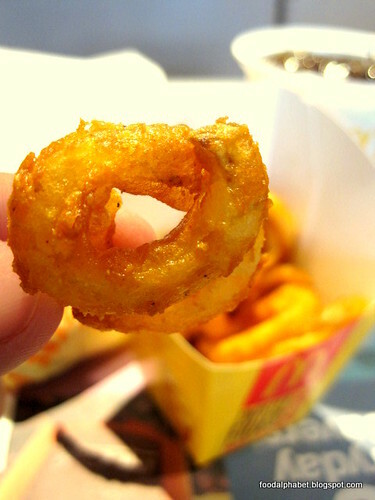 Haha can't wait to my hands on Mc Donald's Twister fries. Time to call 8-MCDO now? Or drop by Mc Donald's 24 hour stores and get your share. Remember this is only for a limited time, as always. Hope they have enough!